2 PACK square packaged, 2016 newest upgrade 360° rotate + 20° sway adjustabe, maximize your view with wide angle in car. All convex spot mirrors are equipped with tiny adjustable swivel mounting bracket for easy installation. 2.52" X 1.81" HD Glass curved male face frameless ultrathin slim design, equip with 3M adhesive for pressure-sensitive tape installation. 2 Installation methods optional, IP65 waterproof, rust resistant and the glass will not haze. Suitable for interior or exterior use. 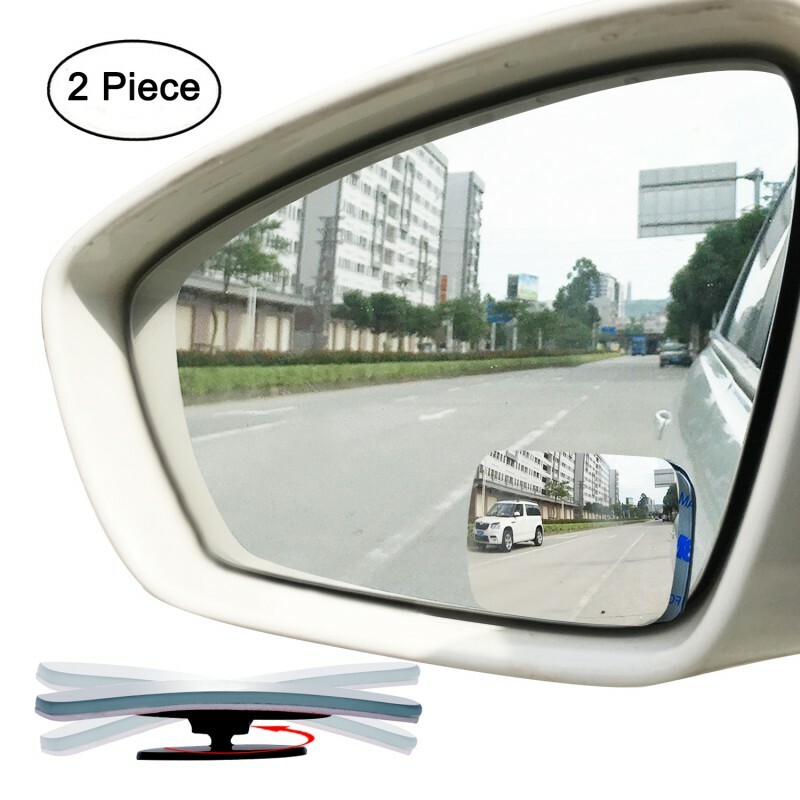 2 x square blind spots mirror and support. 1, 2.52" x 1.81" curved male face frameless ultrathin slim mirror.